Last week you could read my review on the cleanser I am currently using in the morning (under the shower) and today I will tell you all about the cleanser I am using at night! 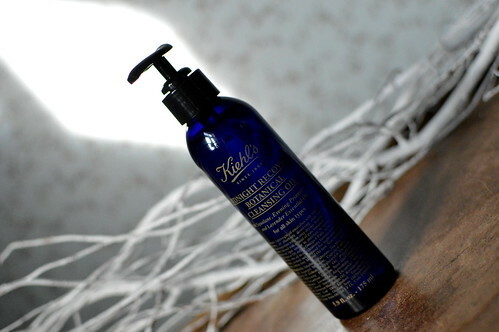 It’s one from Kiehl’s, a brand I had heard and read about before and recently I bought a couple of products in the Antwerp store, including this Midnight Recovery Botanical Cleansing Oil. Find out my thoughts below! 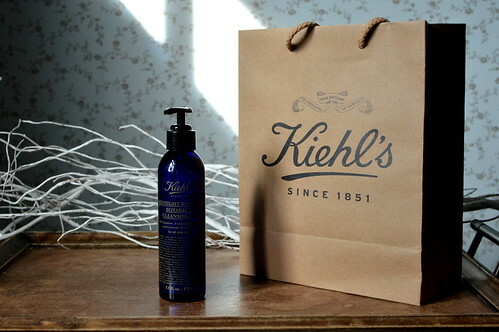 Kiehl’s is a beauty brand, known for its natural ingredients, it’s simple (but beautiful!) packaging and their distinct way of advertising: through worth of mouth, but especially by handing out large and many samples! By the way: they also have a good recycling system which is also appreciated by the public. “How does it work? This all-in-one, non-comedogenic cleansing formula emulsifies with water to become a cleansing milk. This gently, yet effectively helps dissolve difficult-to-remove makeup and impurities – without over-drying. Kiehl’s Midnight Recovery Cleansing Oil not only leaves skin fresh and clean, but also balanced, soothed and prepared for optimal night-time replenishment. Bye-bye panda eyes, hello beauty sleep! I use two pumps of product and gently massage it in circular movements on my face and neck. I also use it on my eyes to remove my eye make-up. After massaging it in thorougly, I take just a splash of water and keep on massaging to take off all dirt and make-up. Finally, I rinse it all off with some lukewarm water. It’s the first step of my evening cleansing routine. After using this cleanser, I use a micellar water to really make my skin as cleans as can be! The smell… it has a hint of lavender in it and I absolutely love it! It’s an aromatic pleasure using this product! Hygienic in use with a handy pump system. It leaves my skin feeling clean, fresh, soft and moisturized. Even though it is an oil, it doesn’t make my skin greasy at all. It even tackles the waterproof mascara I use! Can be used on all types of skin. It’s save to use on the eyes as it is ophthalmologist tested. Evening primrose oil to boost the radiance. Lavender essential oil to soothe irritated skin and to make it more bright. Economic in use: I have used this cleanser for about 3 months now and I am halfway through the bottle. Not very cheap, but one bottle will last me about 5-6 months. Close to perfection in my opinion: this cleanser has quickly become one of my favourite beauty products! 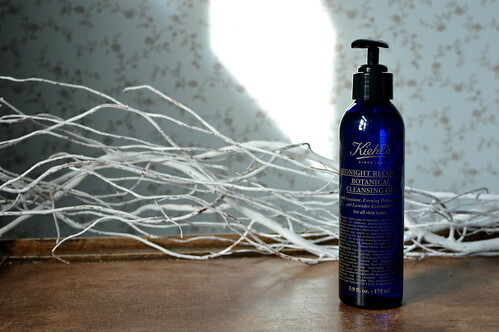 This entry was posted in Beauty, Skincare and tagged cleanser, Kiehl's, midnight recovery botanical cleansing oil.